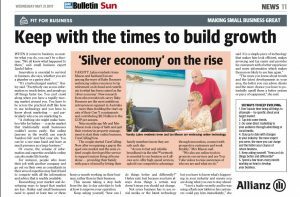 VARSITY Lakes residents Irene Manson and husband Ian are among the wave of Baby Boomers embracing online resources to tip retirement on its head and contribute to what has been coined as the ‘silver economy’. New research from nbn reveals tech-savvy Baby Boomers are the most ambitious entrepreneur segment in Australia — more than doubling the start-up rate of their Gen Y counterparts and contributing $11.9 billion to the GDP per annum. Nine months ago Mr and Mrs Manson took a leap of faith and quit their venture in property management to start their online business, CareCallingNow. The couple started CareCallingNow after recognising a gap in the aged care market and the semi-retired couple developed the service to support seniors living at home alone — providing their family with peace of mind by letting their family members know they are safe each day. “Access to fast and reliable broadband via the nbn™ network is essential to our business as it allows us to offer high-speed services, uphold our competitive advantage through innovation, connect with prospective customers and work flexibly,” Mrs Manson said. “We also use online tools to promote our services and use YouTube videos to raise awareness of who we are and what we do.” Varsity Lakes residents Irene and Ian Manson are embracing online technology. A GOLD Coast company is setting out to prevent the region’s elderly population dying alone in their homes. CareCallingNow relies on a daily on a daily automated phone call to check-in on the welfare of its clients. The automated service allows people, who are unable to check in on their elderly family or friends. One or two calls can be made per day at a time that is predetermined by the loved one. All the loved one needs to do is push any number key on their phone to acknowledge that they are OK. Three attempts will be made and if no one answers, there are up to two alternates where either a neighbour or someone close by will be notified. 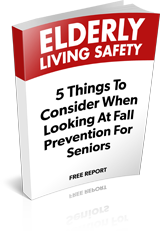 CareCallingNow co-owner Irene Manson said from her experience, if an elderly person living alone fell over at home and was unable to get up off the floor, it was common that they could lie there for days before someone noticed. Mrs Manson, who founded the company with her husband Ian, said the new digital calling system offered daily welfare ‘check-in’ calls ensured elderly people will be found. For more information visit carecallingnow.com.